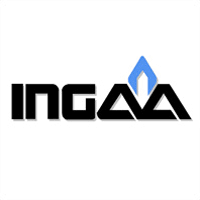 The Interstate Natural Gas Association of America (INGAA) today announced the retirement of Terry Boss, senior vice president of environment, safety and operations, after a distinguished 33-year career in the pipeline industry, including 23 years with INGAA. Boss, who has led INGAA’s efforts on pipeline safety and operations as well as physical and cyber security, will depart on Dec. 31, 2017. Boss’ crowning achievement at INGAA was spearheading the industry effort to develop the association’s Integrity Management Continuous Improvement (IMCI) in 2011. IMCI is grounded in the goal of zero pipeline incidents and is founded on principles of safety management systems. In other news, INGAA today also announced the hiring of Rebecca Massello as director of security, reliability and resilience. In her new role, Massello will lead INGAA’s physical and cybersecurity efforts. She comes from the American Gas Association, where she was manager of security and operations. Prior to joining AGA in April 2015, Massello was program manager for cybersecurity and critical infrastructure at Energetics Incorporated, a management consulting firm specializing in energy and infrastructure resilience. In that role, she supported clients at the U.S. Department of Energy focused on energy sector cybersecurity research and development to enhance the reliability and resilience of the nation’s energy infrastructure. Massello holds a bachelor’s degree in integrated science and technology, with concentrations in energy and environment, from James Madison University and is currently working on a Business Administration/Information Technology dual master’s degree at Marymount University.